s. Nicholas opened the reading. 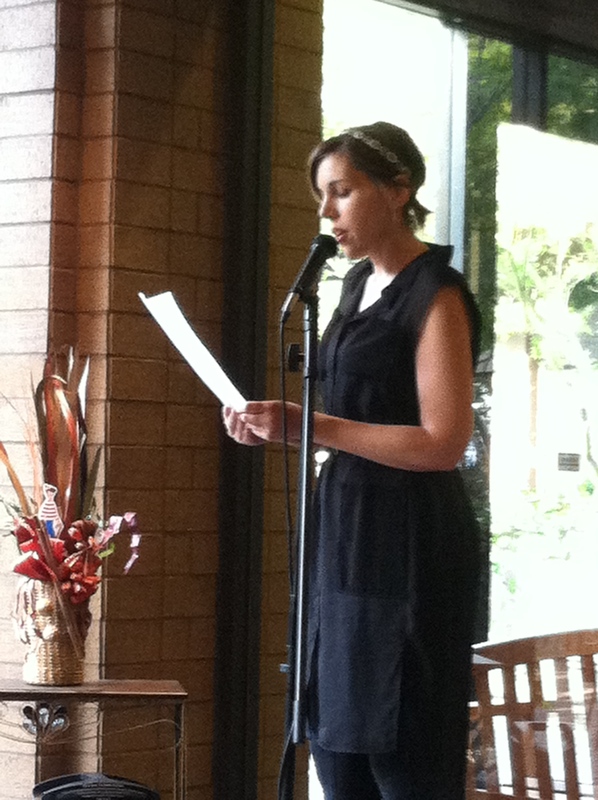 s. Nicholas delivered poems with great diction and striking images from her chapbook and some more recent work reminiscent of Gertrude Stein. 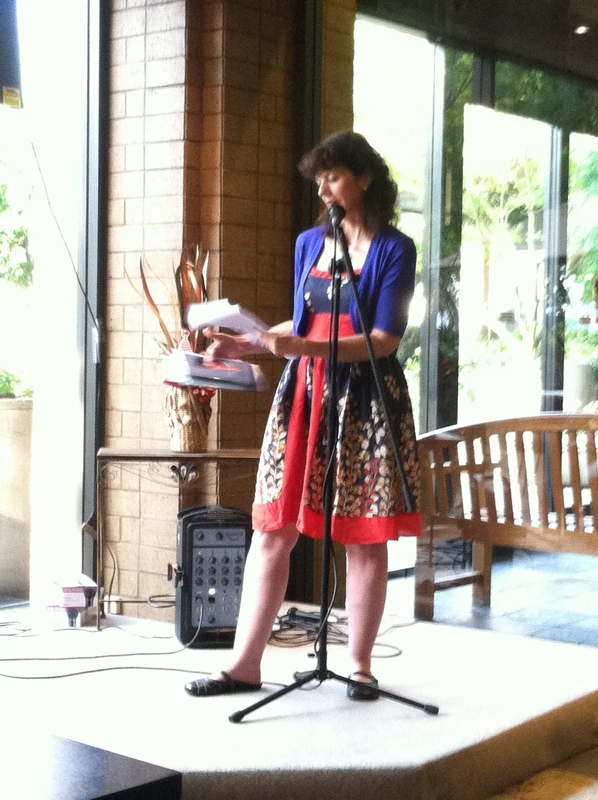 Michelle Bracken brought variety to the event as the only reader of prose fiction. Cindy Rinne brings depth to her work through the myths of many cultures. 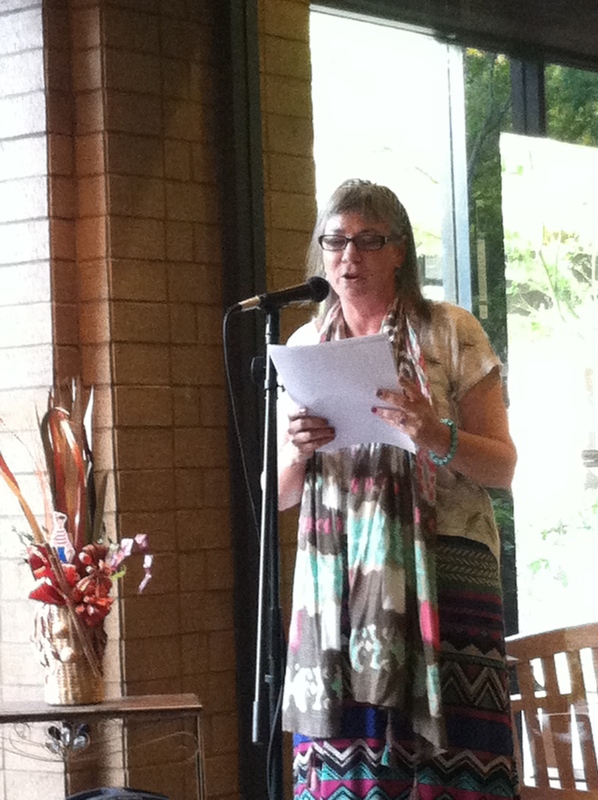 Cindy Rinne impressively sang several passages of her poems. 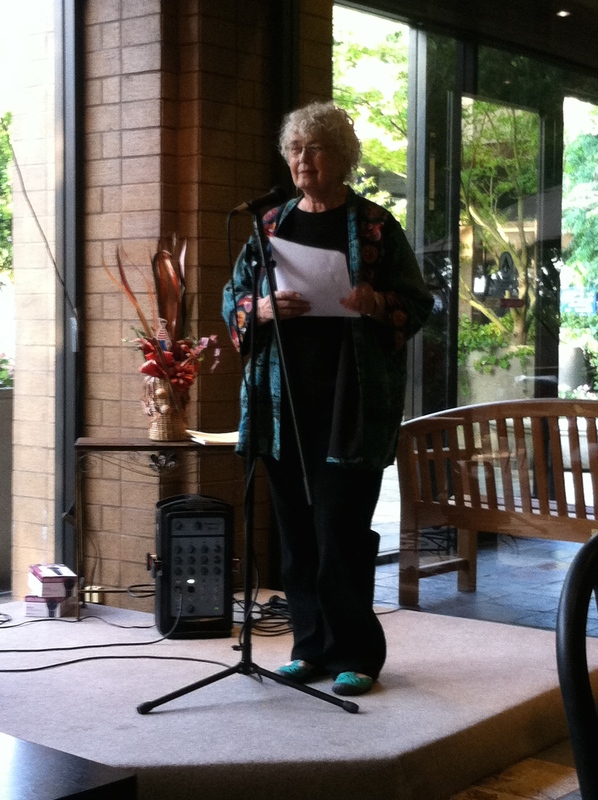 Maureen Alsop delivered poems of devination. 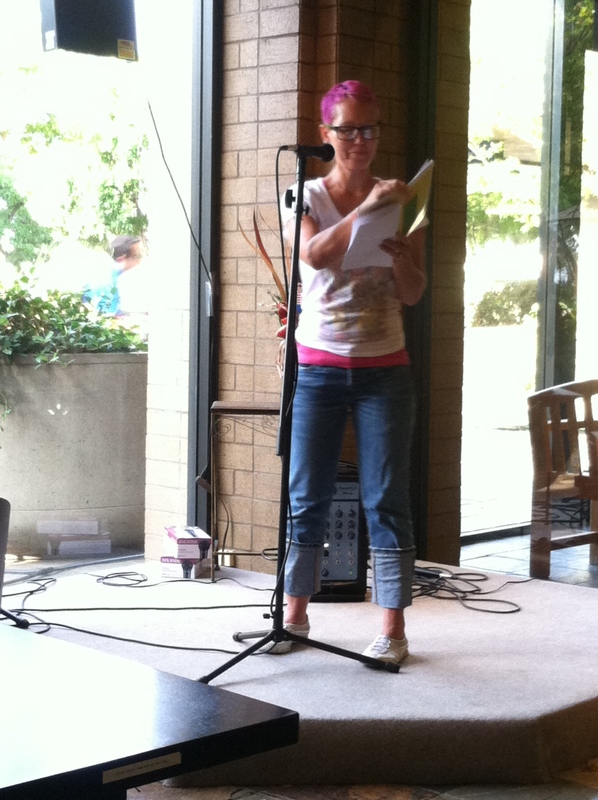 Ruth Bavetta shared a series of humorous and musical poems. 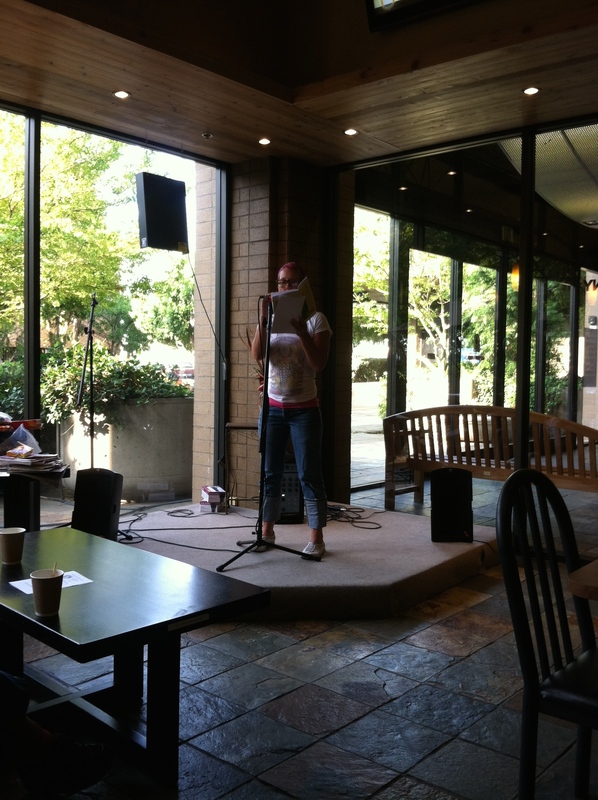 A natural performer, Bavetta had the crowd laughing loudly repeatedly. 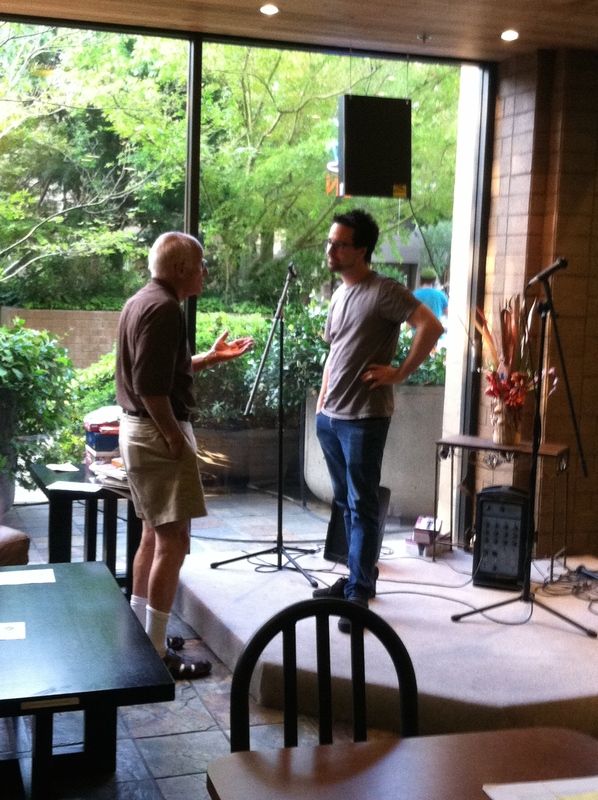 Larry Eby organized the event and emceed. 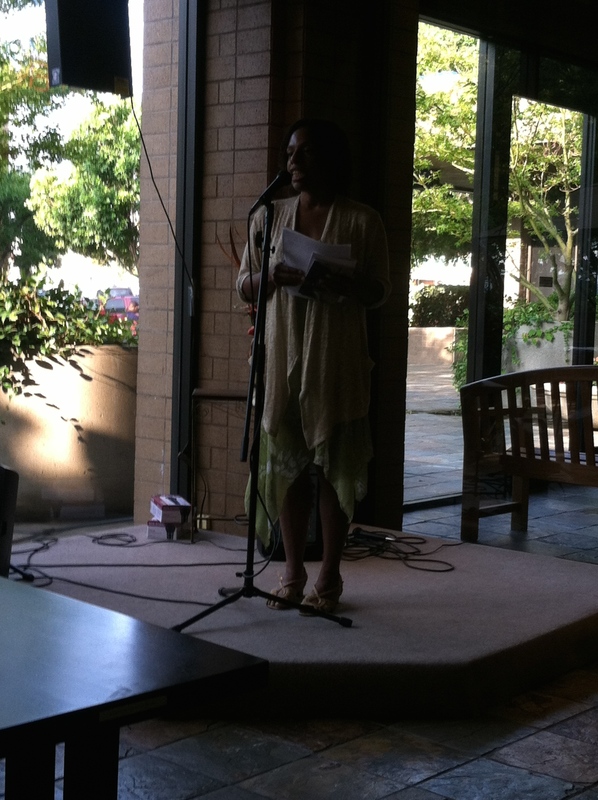 Eby continues to be a leader in the Inland Empire’s writing community. 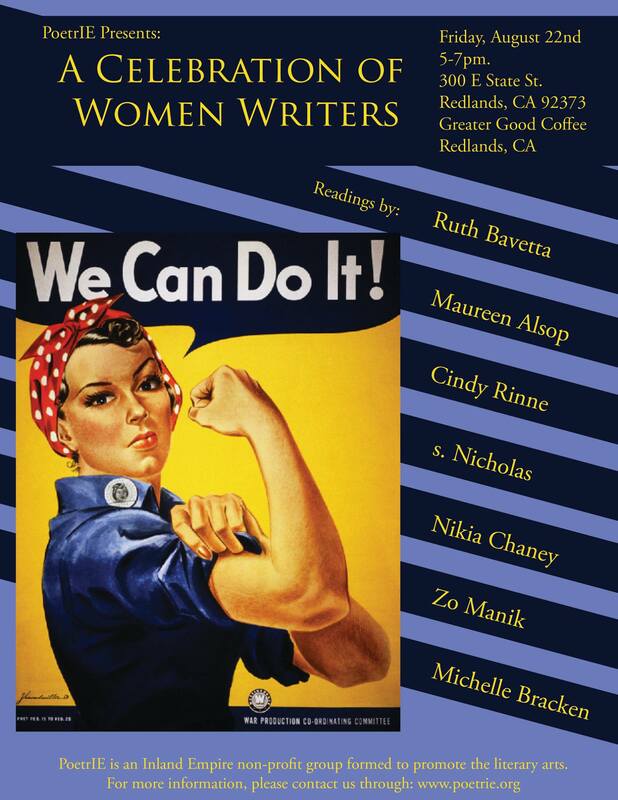 This entry was posted in Southern California Writers, Uncategorized and tagged Cindy Rinne, Larry Eby, Maureen Alsop, Nikia Chaney, PoetrIE, Ruth Bavetta, s. Nicholas, women writers. I had a ball. Great audience. Loved the other readers. Great thanks to PoetIE! 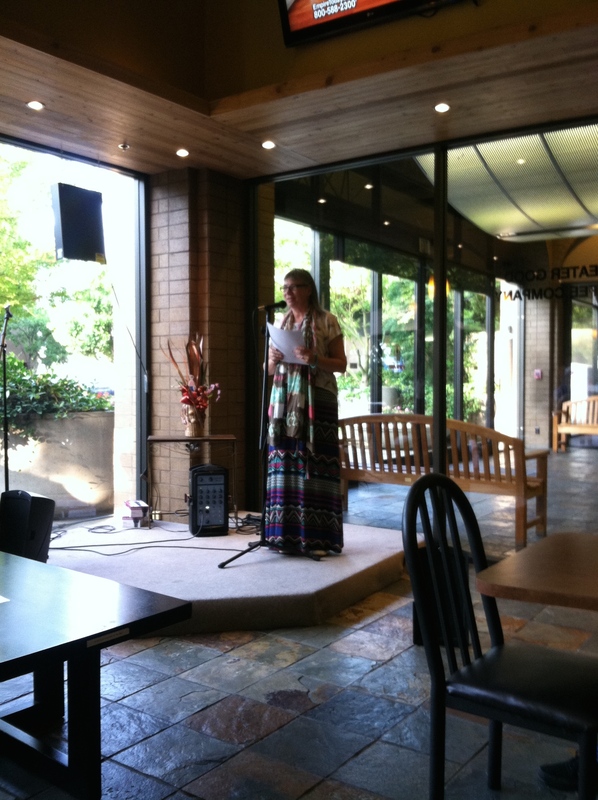 A Wonderful celebration of local poetry! !